Book Tee Times On Line and save up to 40% when booking a tee time on Monday, Tuesday or Wednesday or any Afternoon during the year. Play from date must be at least today + 2 days. 29 or more click here to get your tee time! Children 16 and under qualify for our Junior Rate which is 1/2 of the adult rate. 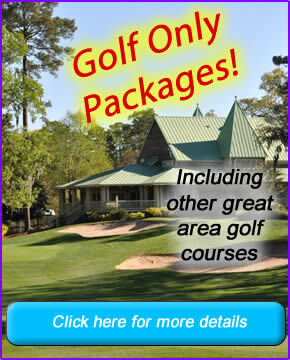 Please call 843-282-2977 or email teetime.orders@mysticalgolf.com to book Junior Tee Times. Thank you for your interest in becoming a part of our golf family. This membership is for those non-locals that want to play 3 magnificent golf courses all year at a price that is the best deal that they can get. Cost of the membership is $199.00 per year for an individual (individual renewal is $139.00 per year) and $299.00 per year for a married couple (couple renewal is $229.00 per year) and. Membership is valid for 12 months from time of inception. Purchase online or download an application. Please present your receipt or the application to the Man O War Pro Shop with a valid ID to receive your Mystical Afternoon Golf Membership card. 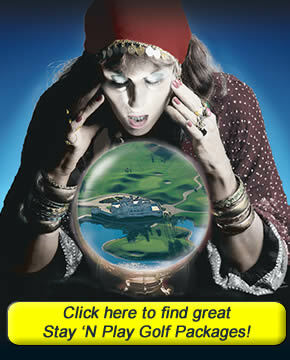 Can play at any of the three golf courses consisting of The Witch, Man O War, or The Wizard. Play any day of the year that courses are open after 12 Noon for cart fee. Guest of Members will be offered guest rates throughout the year with emailed special rates as they become available. Only one foursome with guest is allowed per card holder. Can book tee times up to 48 hrs in advance. Free green fees. The member must pay the regular cart fee that applies at the time that the members play. No additional charges or fees will be charged to him for playing. Proper dress attire is required at all time. Proper and polite behavior in relation to both staff and other players is required at all times.